Modern note application for Linux - May I ask you? How many times has it occurred that a thought has escaped when you really need it? Do not worry about forgetting things anymore! 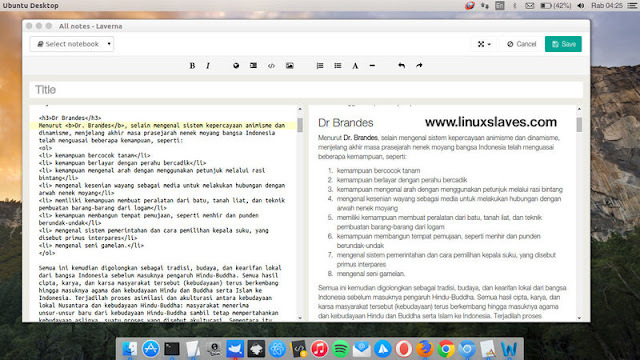 With this app in your Linux desktop, you can easily record your thought, create a to do list, and write down to remind you to do a particular task is the best way to organize the life. 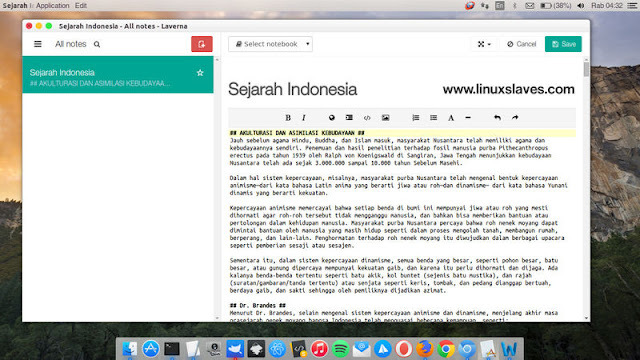 In the past we have shared Simplenote, a clean and simplest notes app I've ever used in my Ubuntu. Today, I will tell you another great similar app. 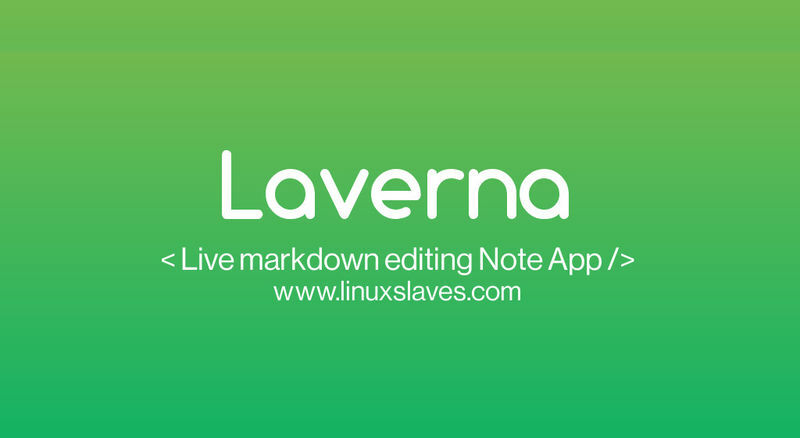 Yep, it's Laverna, a free notes app which is offers clean UI that available for major operating system including Linux (32bit and 64bit), Windows (32bit and 64bit), Mac OS, and Android (coming soon). More than free, it's open source! The application stores all your notes in your browser databases such as indexedDB or localStorage, which is good for security reasons, because only you have access to them. You do not need to go through registration process to start using Laverna. Laverna has a simple and robust markdown editor, which can help you write faster than ever before with the live markdown preview features. Of course, the editor can be switched to distraction free mode where you can focus solely on writing notes. Step 4 - Cheers! 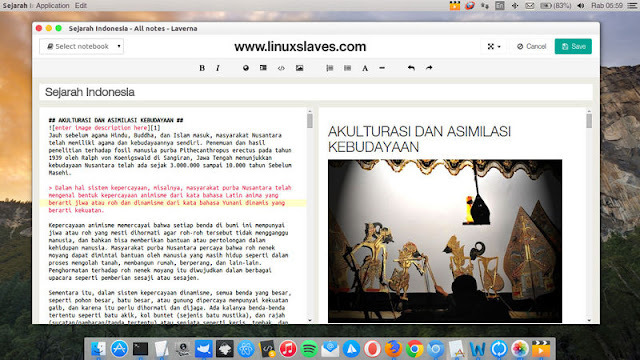 Enjoy Laverna in your Ubuntu Linux. 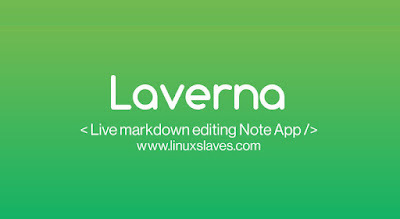 Overall, Laverna is awesome note taking app for Linux. Especially for the markdown editing features. Hope it was helpful for you. 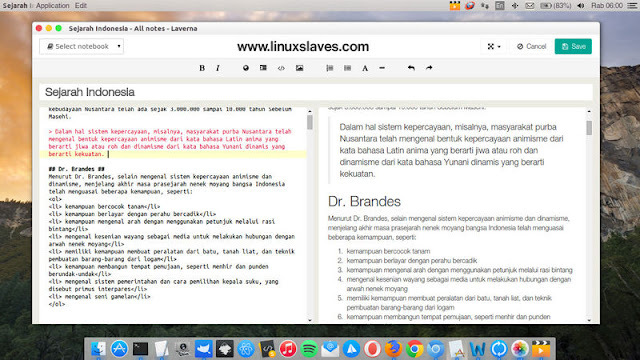 Thanks for visiting Linuxslaves!.